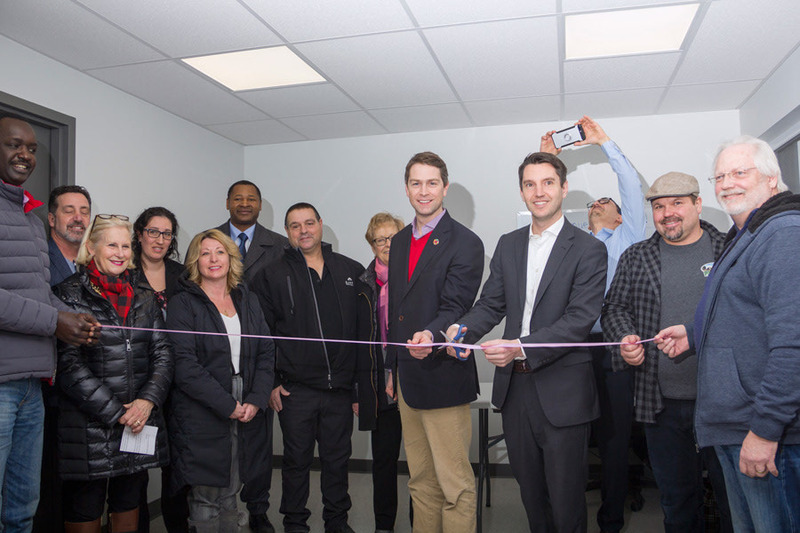 The Pontiac Slaughterhouse in Shawville held a grand opening, January 14, where the four owners, local farmers, elected officials, and everyone who helped in making the project a reality participated in an inaugural ribbon cutting ceremony. The business began operating in November 2018 and now has eleven full-time employees, including Director General Shannon Drummond who was hired last week. “Things have been going well since start-up and we are getting most of the initial glitches straightened out,” said owner Alain Lauzon of Aylmer. All four owners were on site to give a short tour of the facility and explain the operation.